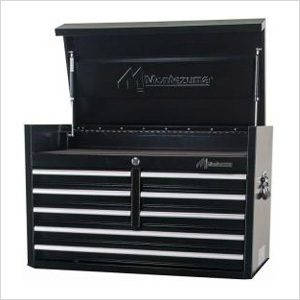 Montezuma's 36 inch 8-drawer top chest features heavy 20 gauge steel construction. 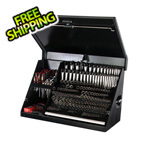 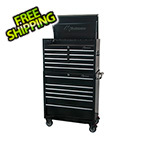 This tool chest provides 4,805 cubic inches of storage space. 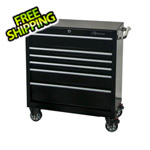 Use it together with the BK3606TC Roller Cabinet (sold separately) for additional mobility and tool storage space.